Some men don’t always take the best care of themselves. However, even a busy man can find easy ways to slip healthy habits into his daily routine. Getting a good night’s rest and regular exercise can be a challenge but can be achieved by planning ahead and prioritizing time. Eating well and taking supplements are also important components to a healthy lifestyle. Likewise, replacing men’s body care products with healthier alternatives is rarely a priority, but can be just as important. Body Wash for Men. Try out this body wash when you hop in the shower first thing in the morning or before bed at night! This sudsy body wash contains lemongrass and cedarwood essential oils. It smells great and will leave your skin feeling healthy and moisturized! Hair Care for Men. Take care of your handsome locks with essential oils! Try adding a little cedarwood, rosemary, or wintergreen (a total of 3 drops) to 1 tsp. (5 ml) of jojoba oil, and massage into your hair and scalp before shampooing to help with dandruff and to stimulate hair growth. Styling your hair is easy with this DIY hair pomade! It’s thick and holds short hair in place really well! For those of you who like to grow out your facial hair, try using a beard oil (recipe below) to soften your beard and keep it looking nice. If you like to keep your face clean shaven, give this shaving cream and aftershave lotion a try! Deodorant for Men. Smell great all day with this custom-scented soft deodorant or this DIY deodorant stick. Oral Care for Men. When you wake up in the morning and grab your toothbrush, try this all-natural tooth powder as an alternative to commercial toothpaste. When you are done, leave your toothbrush in this solution to clean it while you are gone for the day. Breath Solutions for Men. Make sure to keep some essential oil breath mints on hand for when you have to head to a work meeting! Alternatively, this breath spray is easy to keep in your pocket and spritz in your mouth as often as needed throughout the day. Workout Oils for Men. Maintaining a muscular physique requires effort . . . and a little pain. Just take this sore muscles salve with you when you hit the gym, and apply it to the muscles you worked out that day to keep the pain minimal. If you experience more than the normal soreness, try these essential oils for other sports injuries. Flavorful Food for Men. Eating healthy is important, but we all want our food to taste good, too! Try enhancing the flavor of your food with essential oils! Try out these savory spice mixes or any of these essential oil–flavored cooking recipes to make your culinary masterpieces come to life. Handyman Tips for Men. Yard work and other house/car maintenance tend to fall on the shoulders of men. Let essential oils make your job a little easier! After working on the car, try cleaning off your greasy hands with this hand degreaser. You may be excited to mow the lawn again next Saturday if you use these frozen eucalyptus mint towels to stay cool! Freeze the towels rolled up in a shape to conform to your neck. Then secure one around your neck with a bandana so it stays put as you as you mow the lawn or do yard work. 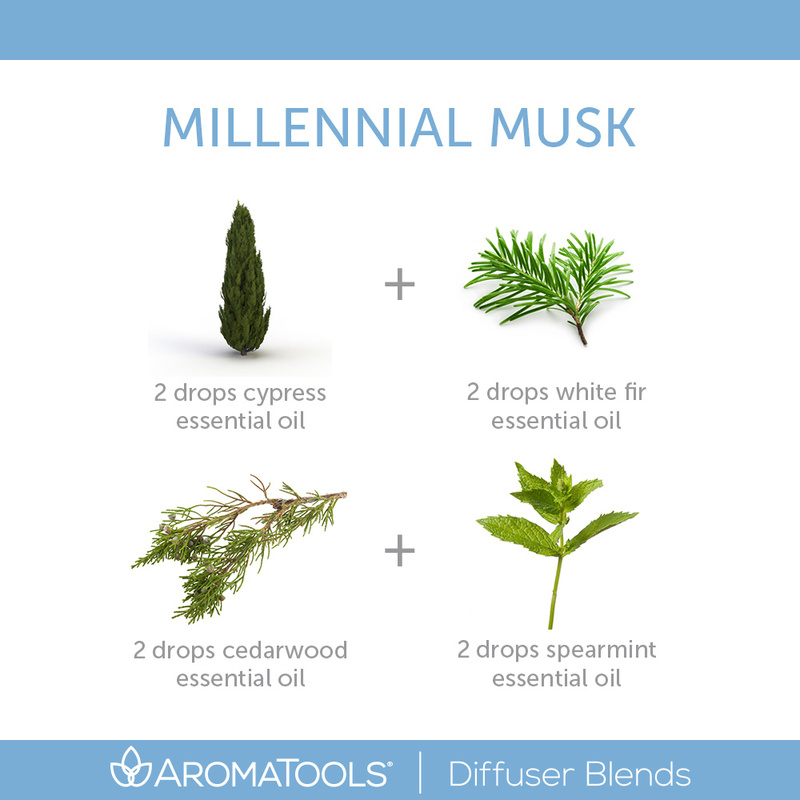 Diffuser Blends for Men. 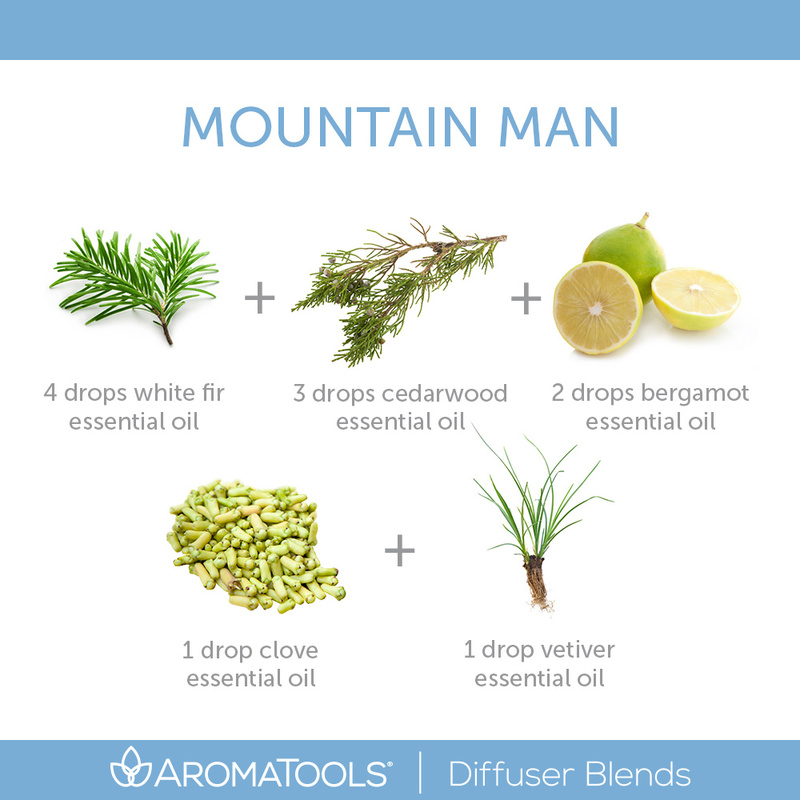 Even manly men diffuse essential oils! Try one of these blends in your diffuser next time you chill in your man cave (or office). Beard Oil for Men. Soft beards result in more hugs and kisses from women and children. Try this beard oil to make your beard feel soft, smell good, and benefit from the essential oils! This balm is best used after a shower when you’ve washed your beard. Pour the ingredients into the bottle. Screw the lid on, and shake to mix. To use, spray once or twice on your beard, and massage in. Enjoy your healthy facial hair!